After 50 years, the PRI or “Co-op” apple breeding program is still turning out varieties! 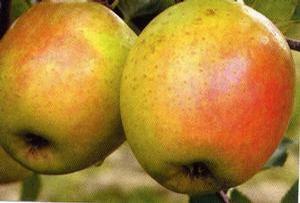 GoldRush™ (Co-op 38) is one of the finest scab resistant apples to be released. In 1945, the “Co-op” or PRI Disease Resistant Apple Breeding Program was initiated by Purdue University, Rutgers-The State University of New Jersey, and the University of Illinois. While the prime focus was likely on breeding or discovering apples with scab resistance, other diseases were a target too. However, scab resistance was of prime importance because of its costly and rigorous control measures. In it’s early years the Co-op program was probably intended for helping just commercial growers. Who knew it would end up helping backyard orchardists as well with more scab resistant apple varieties. For this reason chemical companies have been very successful in introducing fungicides which are very effective at controlling scab. Few of the Co-op varieties have become commercial varieties, mainly because the varieties mostly just don’t have the commercial qualities that the marketplace and consumer are looking for. Before the start of the program in 1945, researchers had collected apple cultivars from across the world to use as parents. Over 3400 “parents” were crossed to produce over 617,000 seeds. Half of these were screened out for various reasons. About 100,000 grew into seedlings and were planted. About 60,000 of the seedlings were evaluated and chosen to become the 1500 elite selections for continued observation and testing. Out of those 1500 or so elite cultivars, only about 45 have been released for advanced testing across the US and the world. Many of these have been named and released to the industry for use. So, out of over 600,000 seeds, only about 20 named cultivars have been released. NONE of these varieties can ever be considered “GMO”, because all of this production was done in the natural manner of breeding. So, for you apple seed savers hoping to grow it into a new variety, the odds are about 1 in 30,000! Maybe it would be better to buy lotto tickets. Grandpa tries to offer as many of the Co-op varieties that he can get access to. Grandpa’s Orchard usually offers RedFree, Jonafree, Williams’ Pride, Enterprise, GoldRush, Pristine™, CimsonCrisp™, and WineCrisp™. Some varieties have become proprietary cultivars of other nurseries, and we can’t get them, and some have actually become commercial varieties that have limited distribution and you can’t grow them. While the PRI program was one of the first to actually breed and select for scab resistance, other programs in Europe and other countries are now doing so in a big way. All of Grandpa’s Rezista® apple cultivars came from Europe. Others like Bella®, Initial, Crimson® Gold, Crimson® Topaz, Querina, and NovaSpy come from other programs.